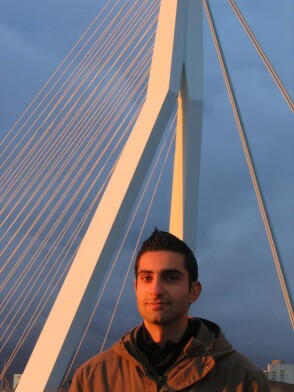 At a very young age, one of the first dance-oriented shows on Dutch national radio called the ''Soul show' drew Shirazi�s (real name: Amir Maani Shirazi) attention to electronic music. From the start of the house virus (mid '90s) in the Netherlands, he was fascinated by the music played by Dutch dj Dimitri. In the mid 90s, Amir Maani Shirazi started producing his own music which led to the release of 2 co-productions under the name �Fluid Illusion�. The tracks were released on compilation CDs of independent label Precious Records in The Hague, which also featured tracks of young Armin van Buuren. The label was set-up to promote new and young Dutch producers. In the mid 90s all productions came to a standstill, but his love for electronic music never disappeared. At the end of 2005, Amir Maani Shirazi restarted producing music. With the surge of software applications, possibilities seemed endless. After finishing the first series of tracks his enthusiasm grew after Dutch DJ Day (D3) 2006 (part of Amsterdam Dance Event). Dave Clarke got his hands on Shirazi�s demo cd and played the track �Morning drive� the next week on his radio show 'White Noise'. House legend Marshall Jefferson also complimented him during D3. Shirazi's music is best described as warm and melodic, from house to techno. Shirazi�s first EP was planned to occur in 2007 on the Bio label of his favourite producer Vince Watson. Unfortunately Bio decided to halt vinyl releases at the end of 2006, after incurring financial difficulties. Dutch techno pioneer Secret Cinema�s new TEAM label (taking off in September 2007) has included Shirazi as one of its 5 members.